Explaining further, the leader said the BJP didn’t have a strong mass base in the state. 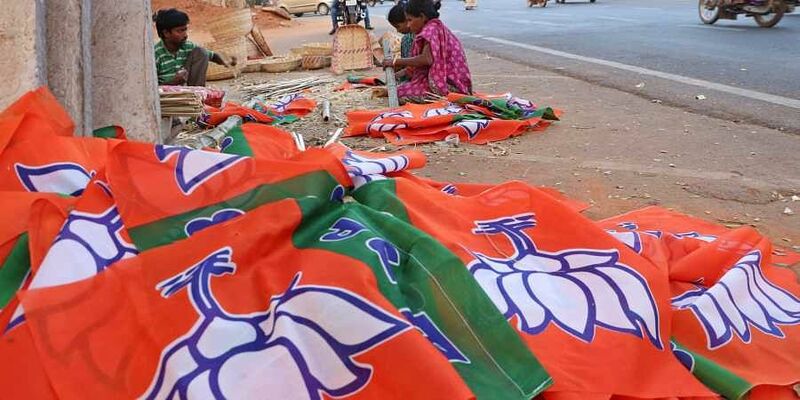 NEW DELHI: While political developments in Karnataka taking a curious turn, sources within the BJP in Delhi claimed that the party’s central leadership doesn’t want Lok Sabha polls to be conducted under current JD(S)-Congress government in the state. The BJP fears misuse of the State machinery during the high-stake electoral battle. A party insider on Tuesday said the aim of the endeavour to wean away MLAs from the ruling coalition was not to form a BJP-government in Karnataka. “The latest developments are not meant to form its own government; it’s more to discontinue the current political regime,” he said. Explaining further, the leader said the BJP didn’t have a strong mass base in the state. “There is a strong possibility of misuse of government machinery during the Lok Sabha polls. The party doesn’t have a solid cadre base in Karnataka to counter this,” he added. If the ruling coalition in Karnataka crumbles, it will also help the BJP in highlighting during the poll campaign that “opportunistic alliances” don’t survive long and the SP-BSP combine could go the same way. At least 99 of the 104 Karnataka BJP MLAs are being kept at a resort in Gurugram, fearing poaching attempts by the JD(S) and the Congress. Sources claimed senior BJP leader and former CM B S Yeddyurappa was in touch with the MLAs and had assured them of a positive outcome, suggesting that several disgruntled Congress MLAs could join him.